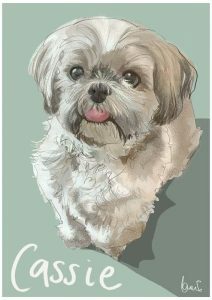 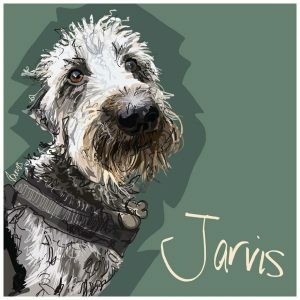 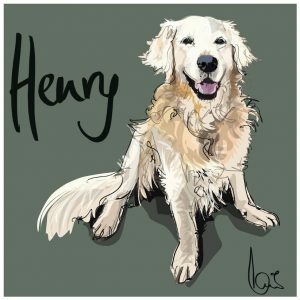 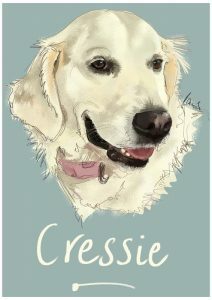 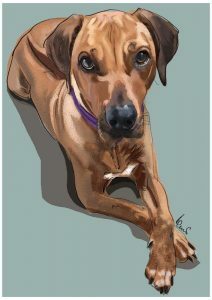 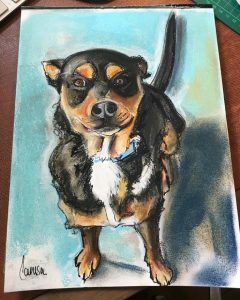 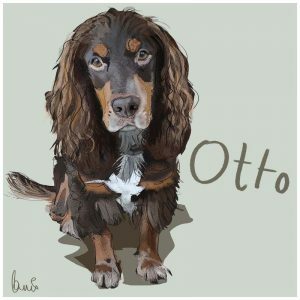 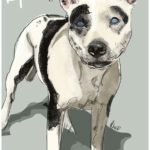 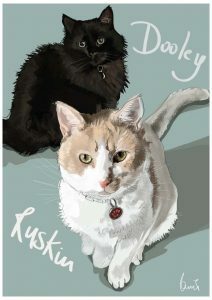 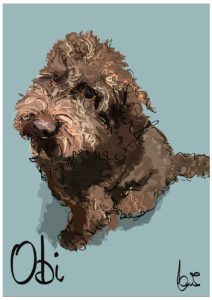 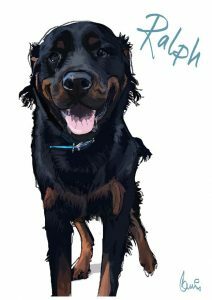 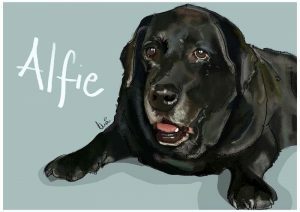 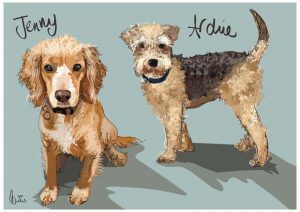 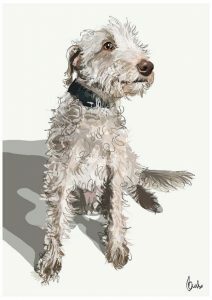 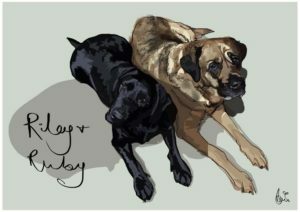 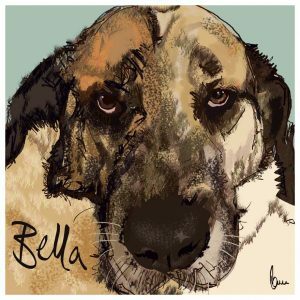 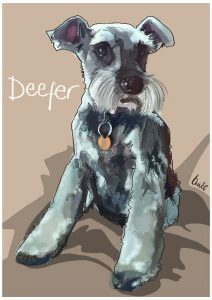 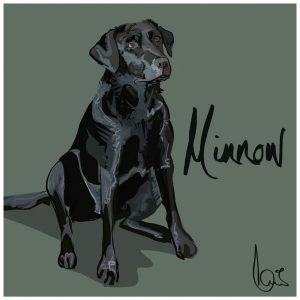 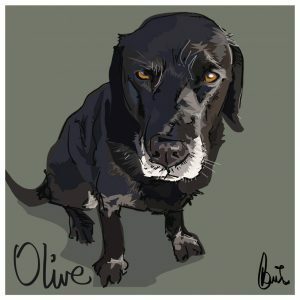 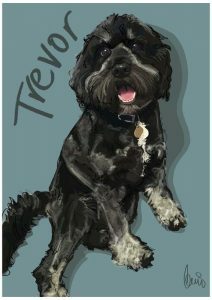 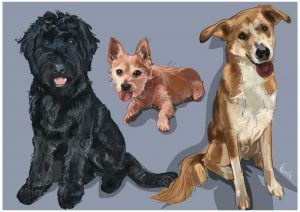 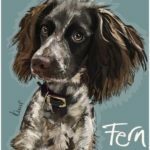 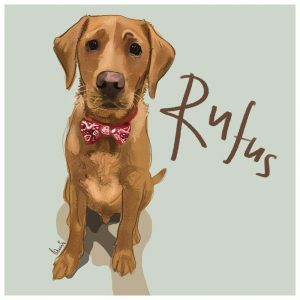 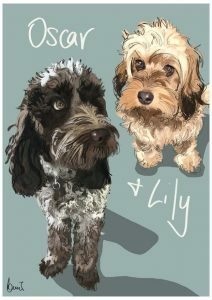 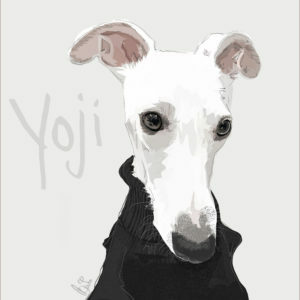 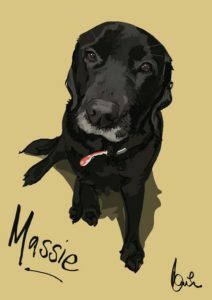 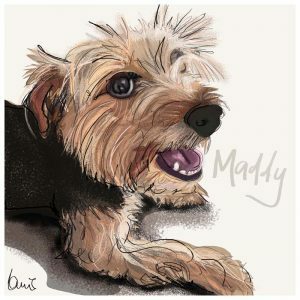 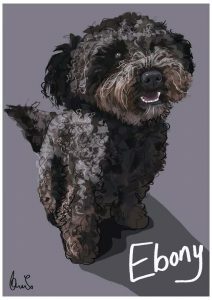 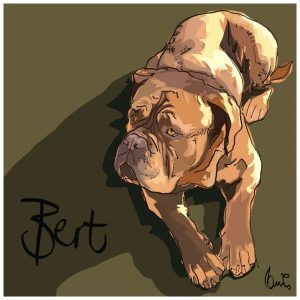 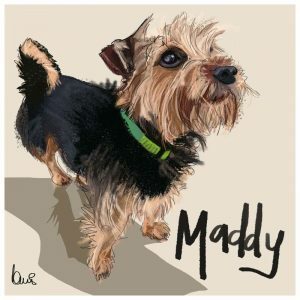 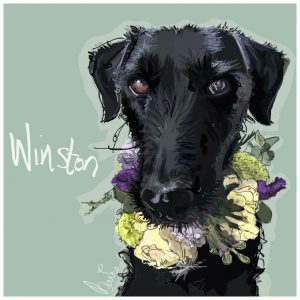 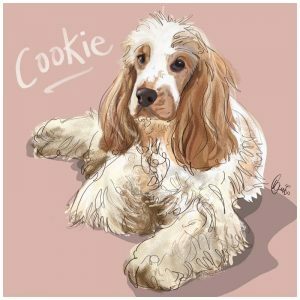 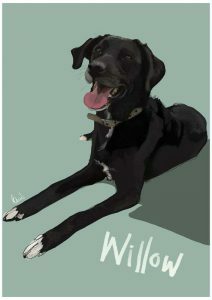 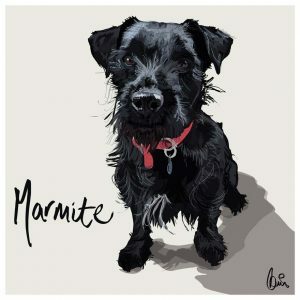 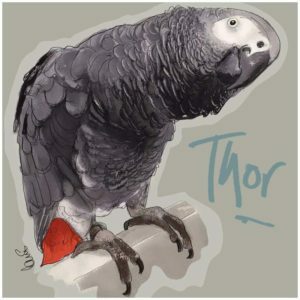 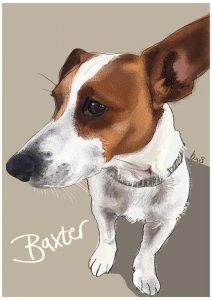 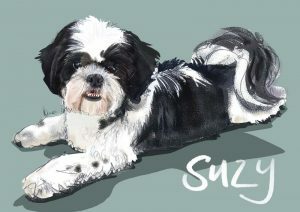 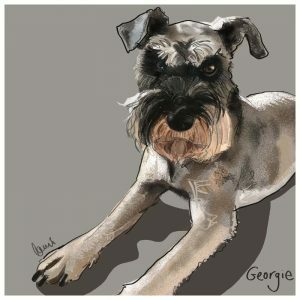 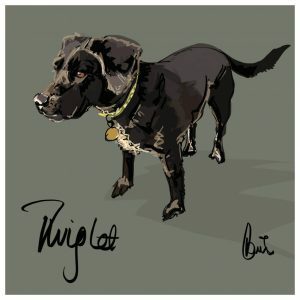 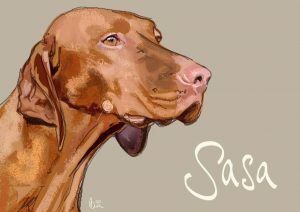 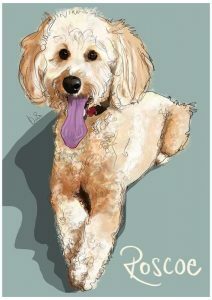 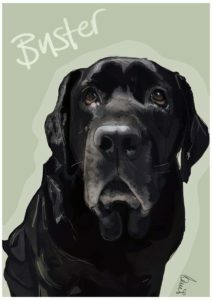 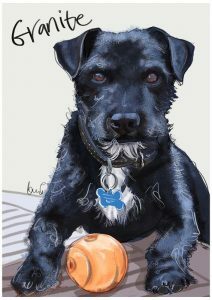 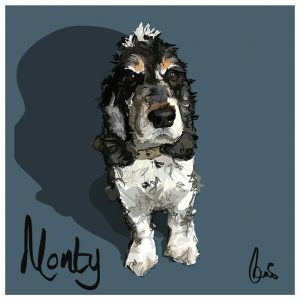 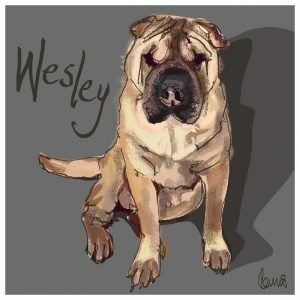 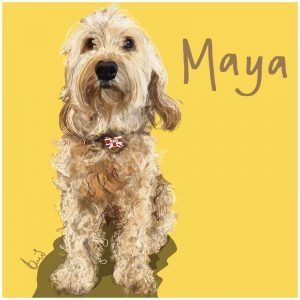 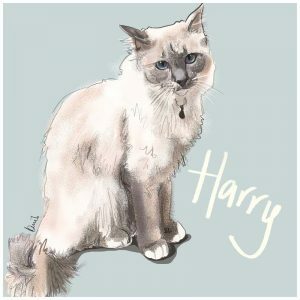 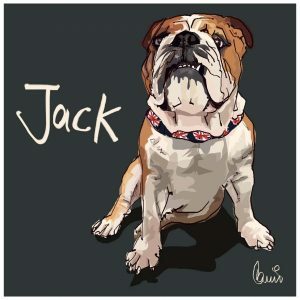 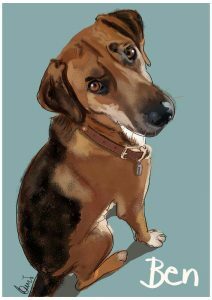 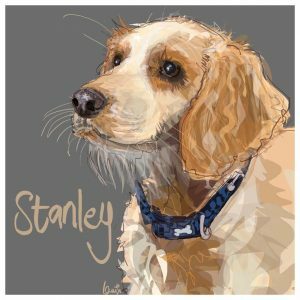 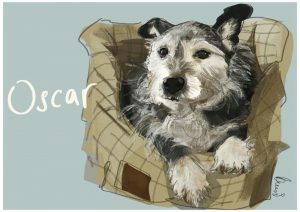 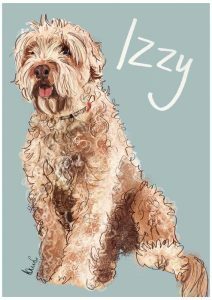 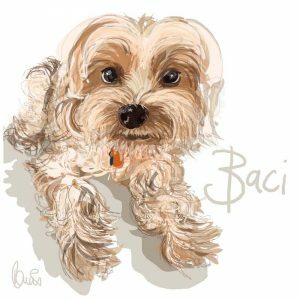 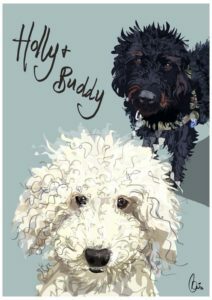 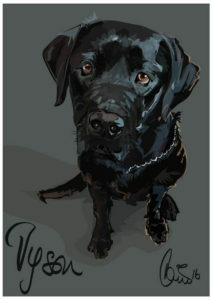 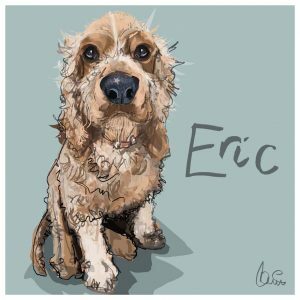 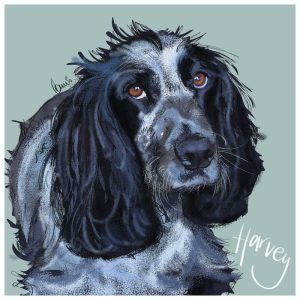 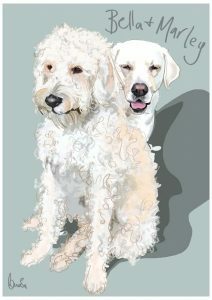 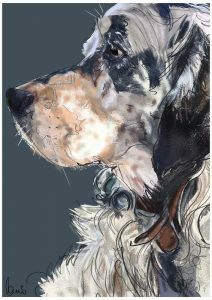 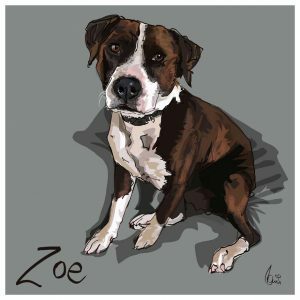 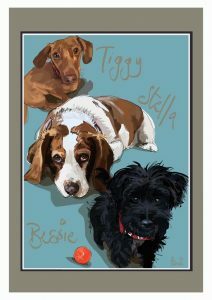 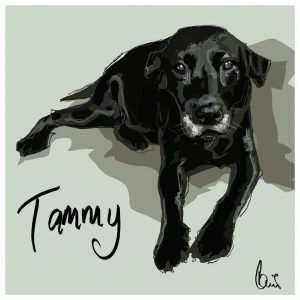 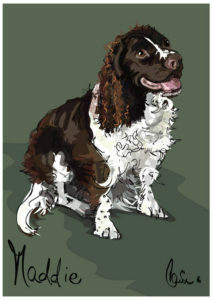 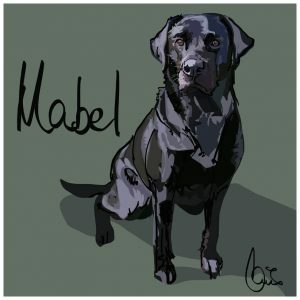 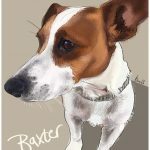 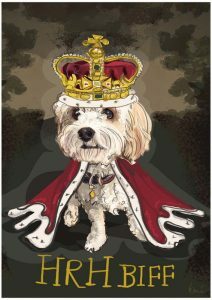 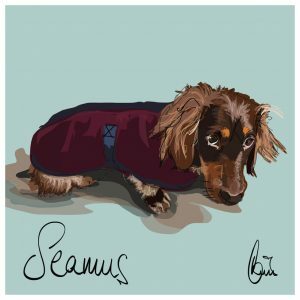 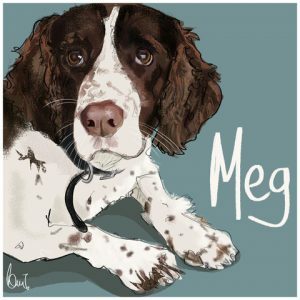 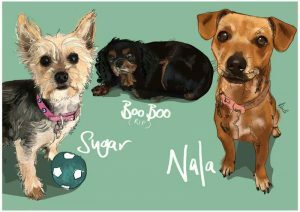 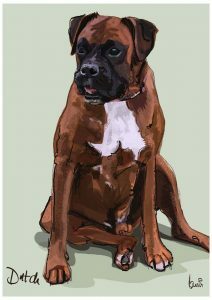 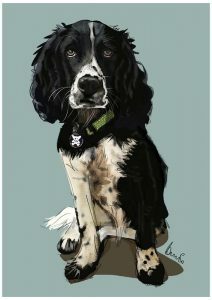 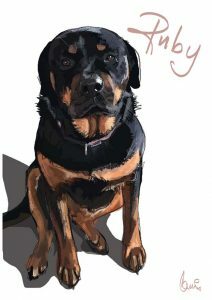 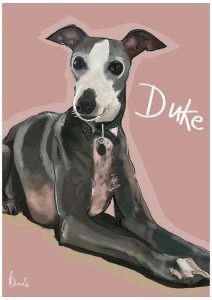 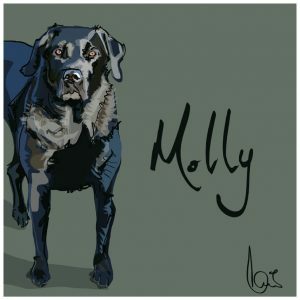 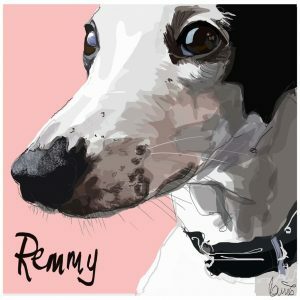 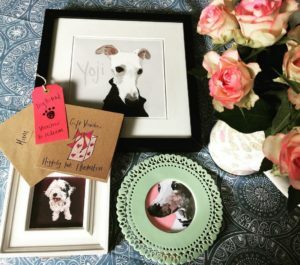 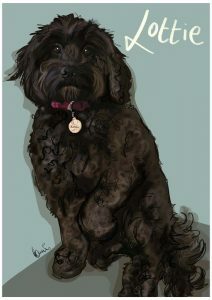 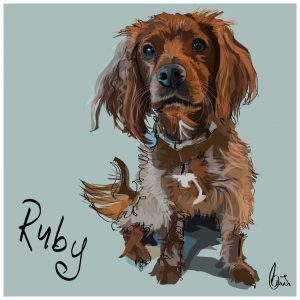 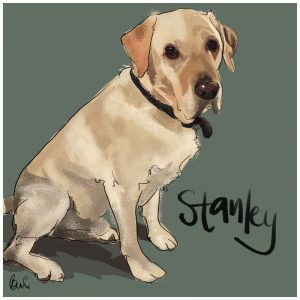 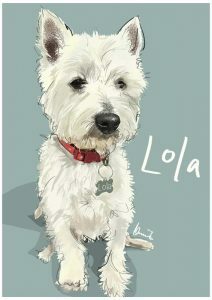 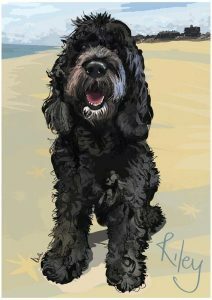 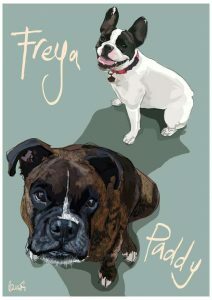 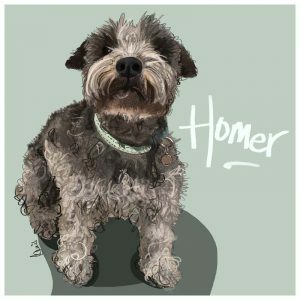 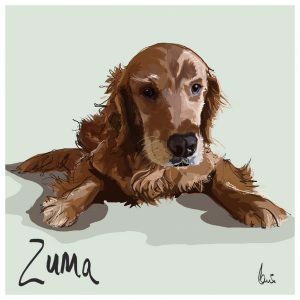 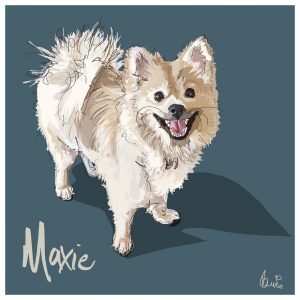 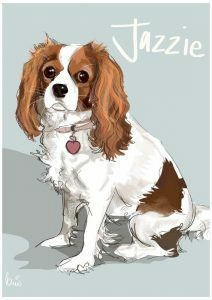 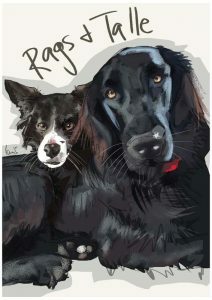 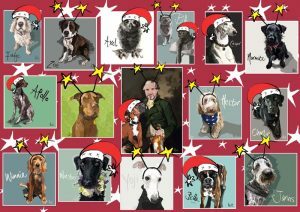 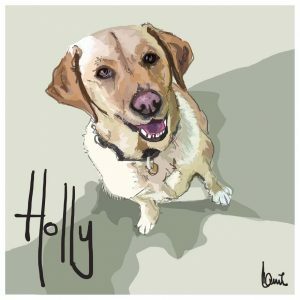 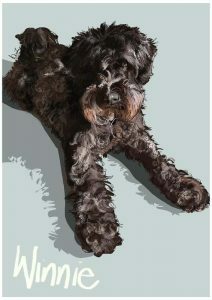 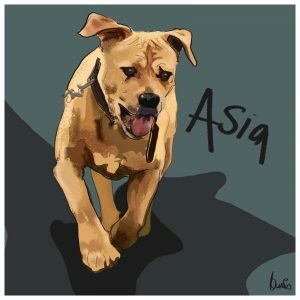 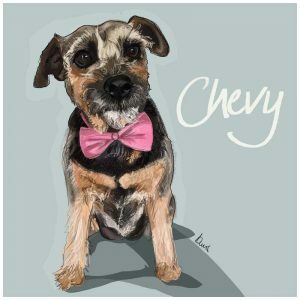 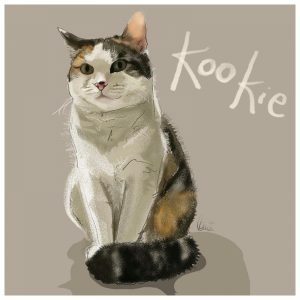 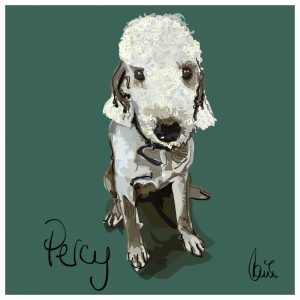 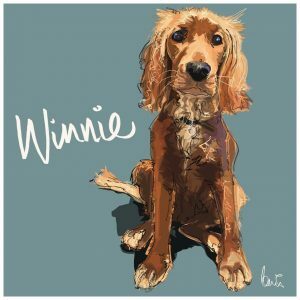 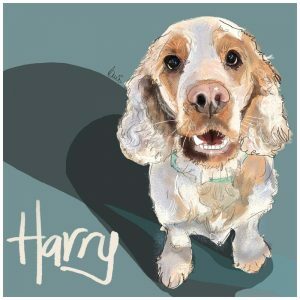 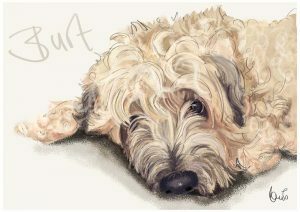 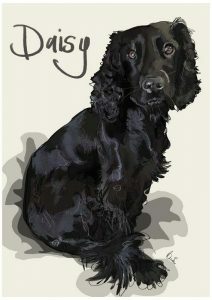 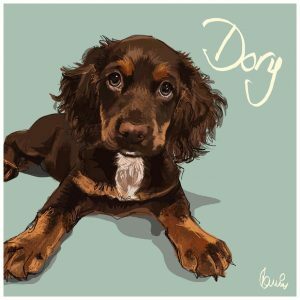 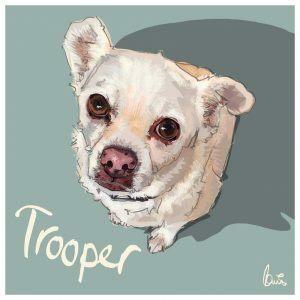 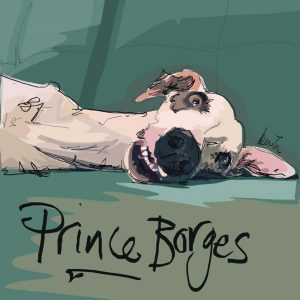 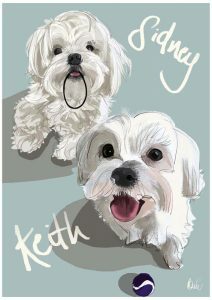 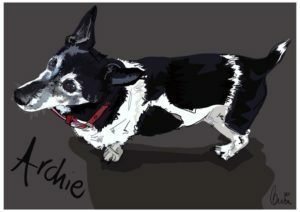 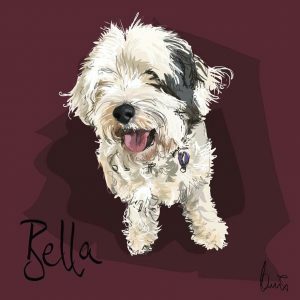 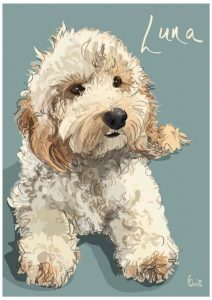 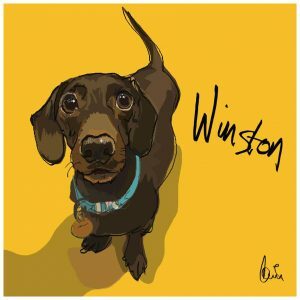 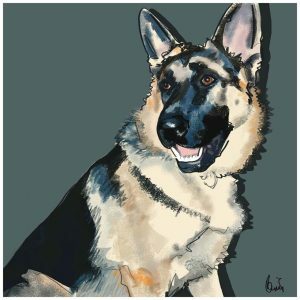 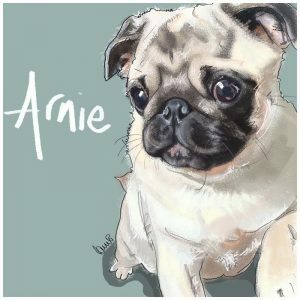 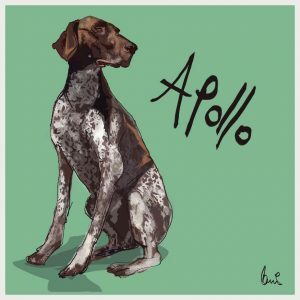 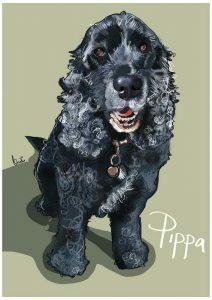 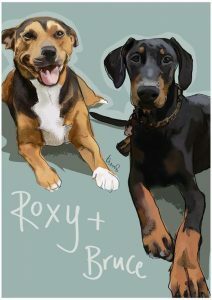 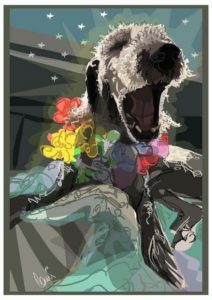 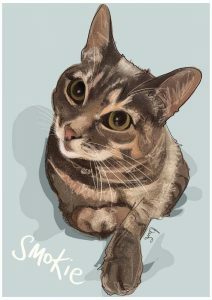 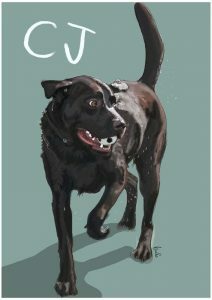 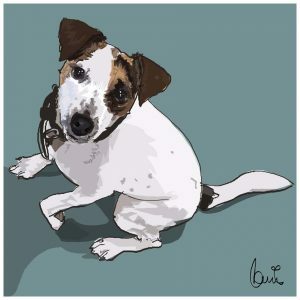 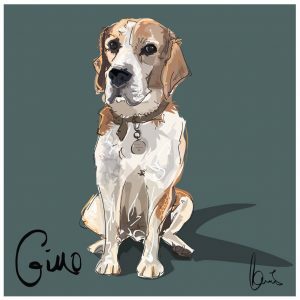 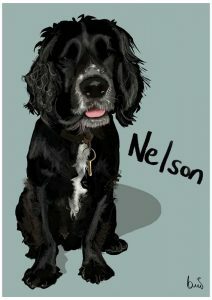 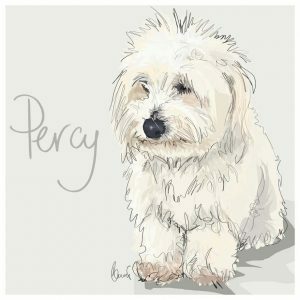 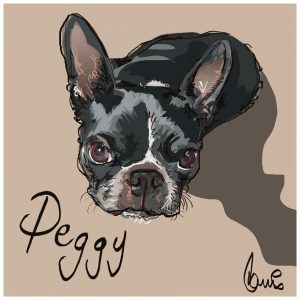 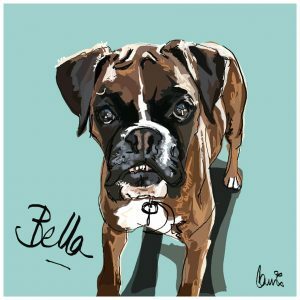 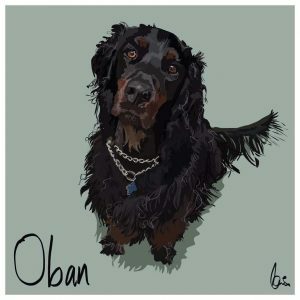 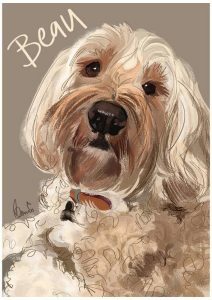 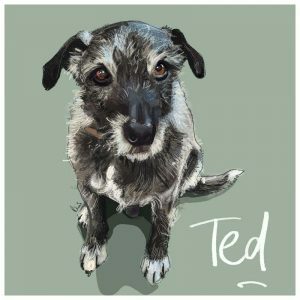 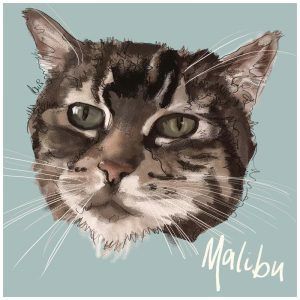 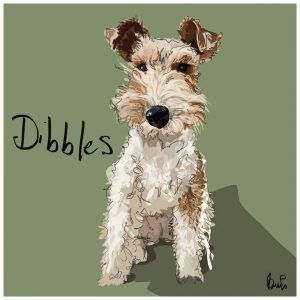 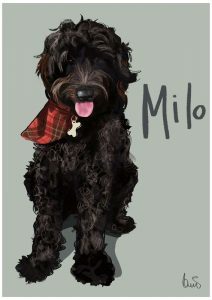 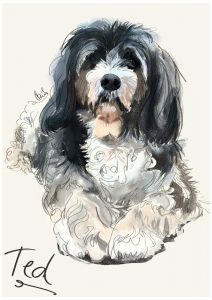 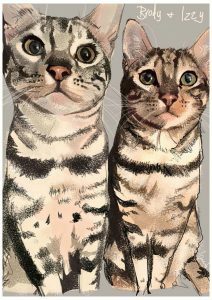 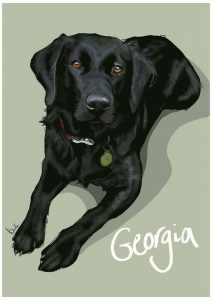 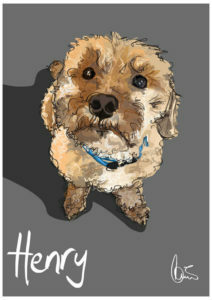 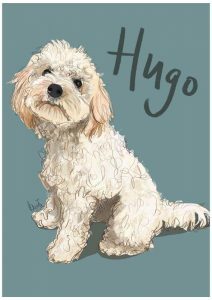 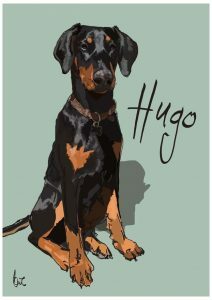 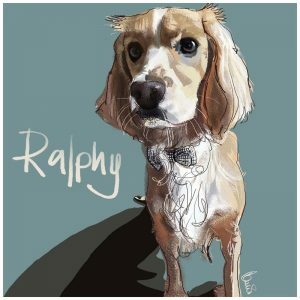 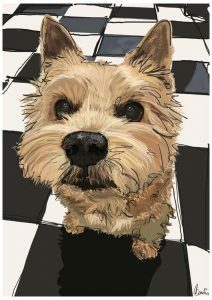 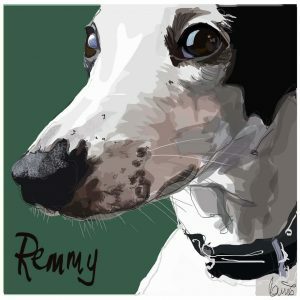 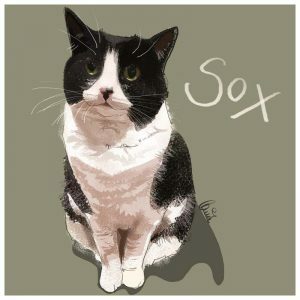 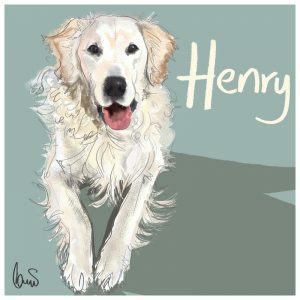 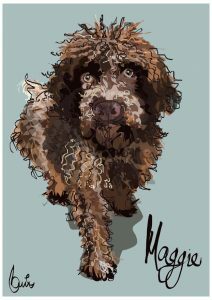 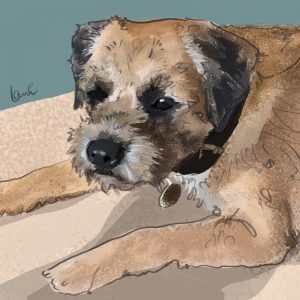 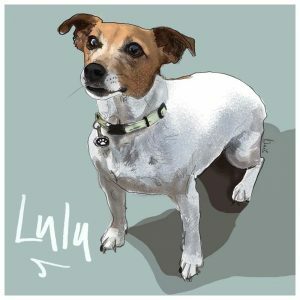 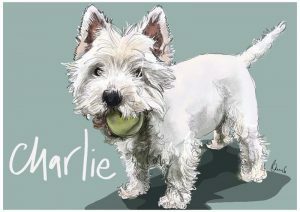 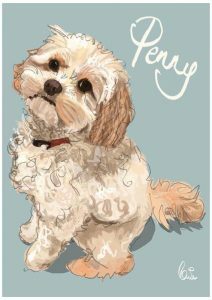 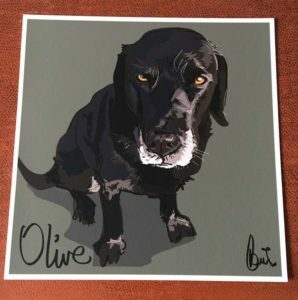 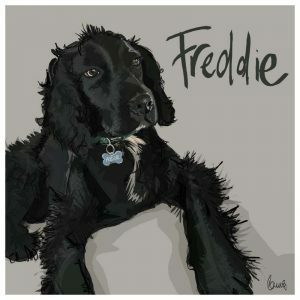 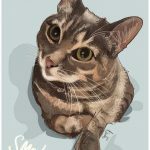 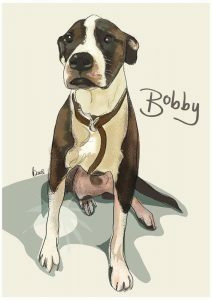 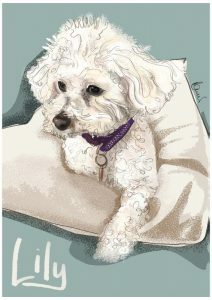 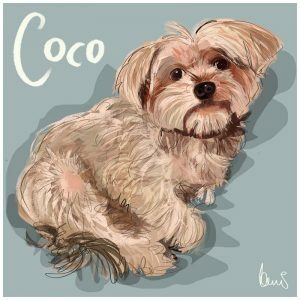 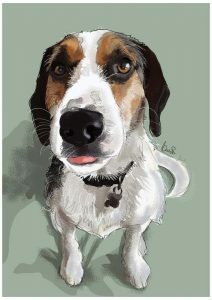 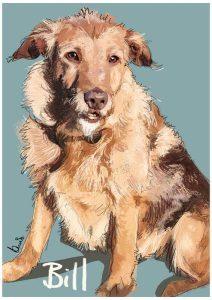 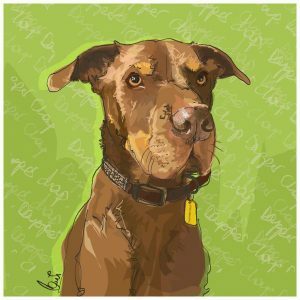 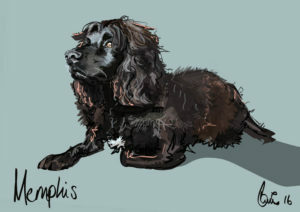 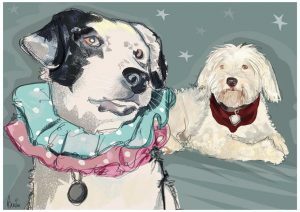 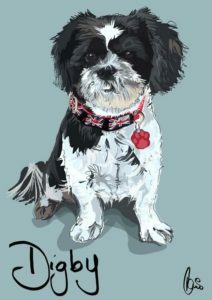 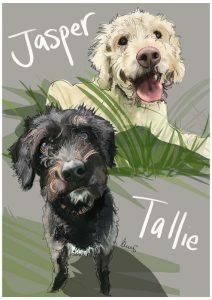 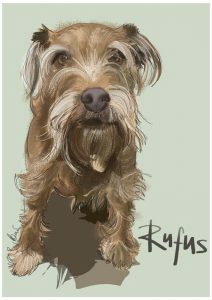 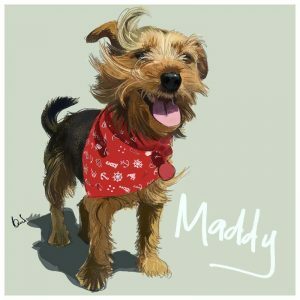 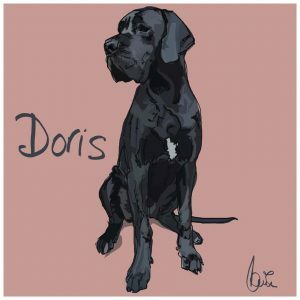 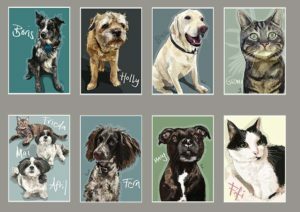 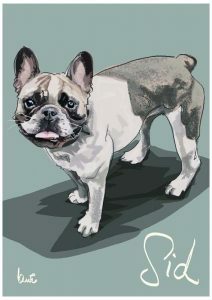 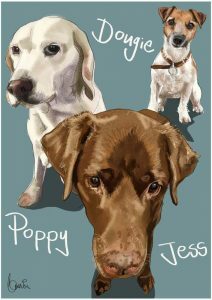 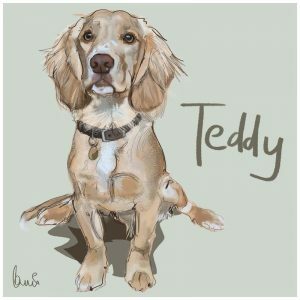 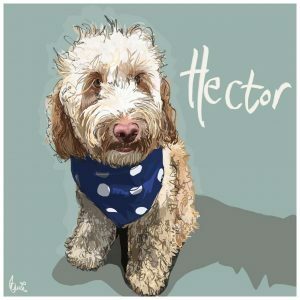 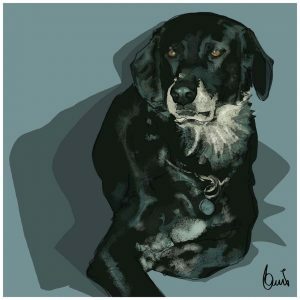 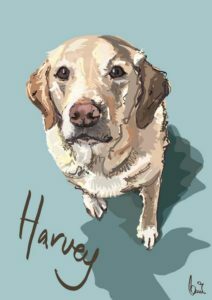 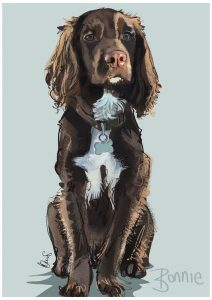 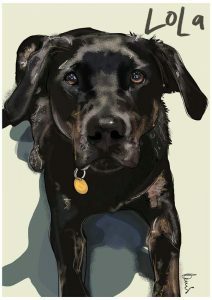 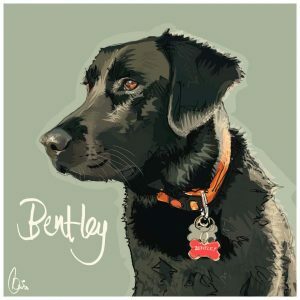 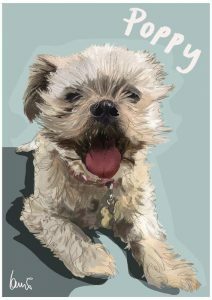 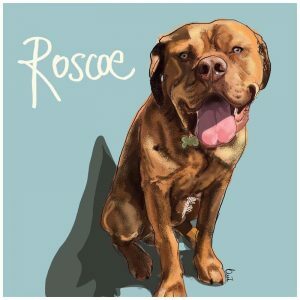 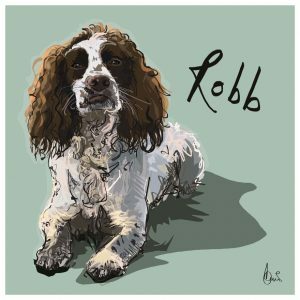 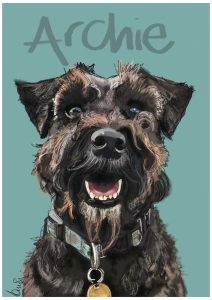 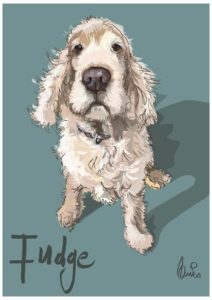 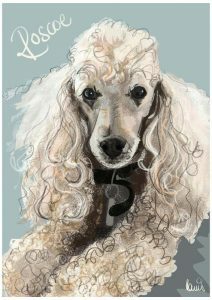 Higgledy Ink create exquisite custom pet-portraits from photographs, using digital technology. 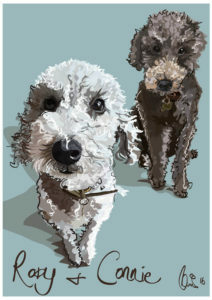 Working with you we will create a gift that will never be forgotten. 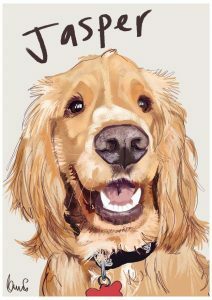 We know how much pets mean to their owners. 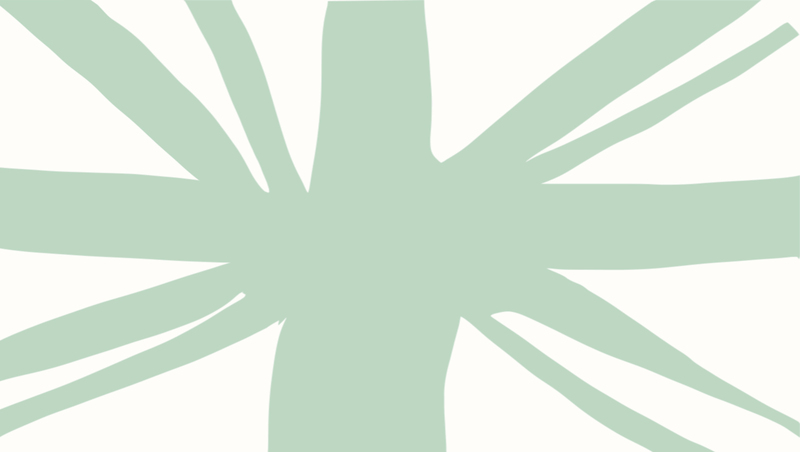 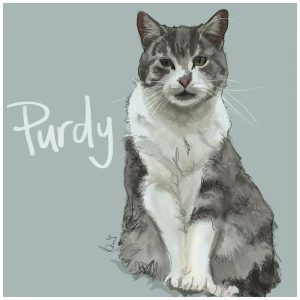 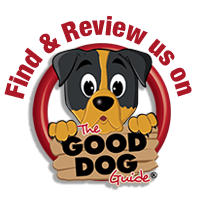 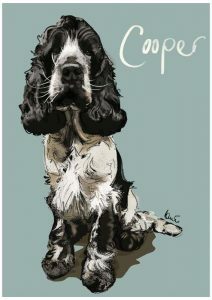 From our studio in the heart of Wiltshire, we will capture the spirit and personality of your pet. 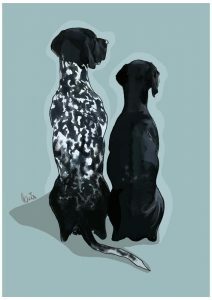 Our portraits are a special reminder of that unique bond. 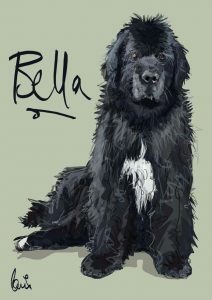 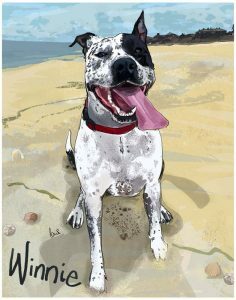 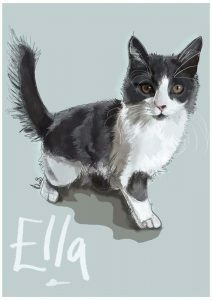 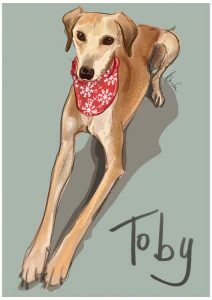 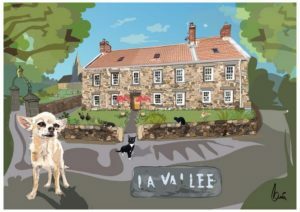 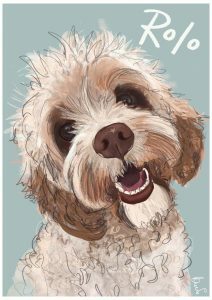 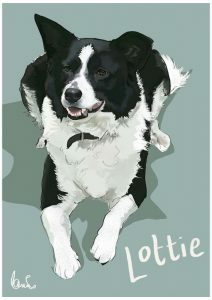 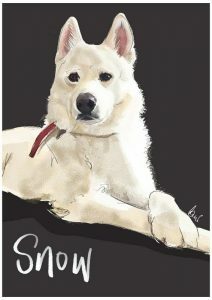 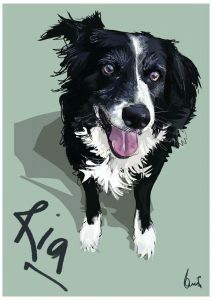 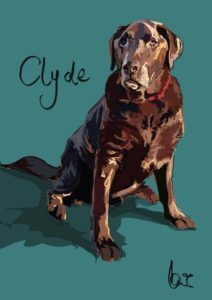 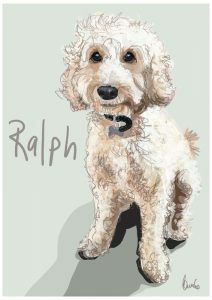 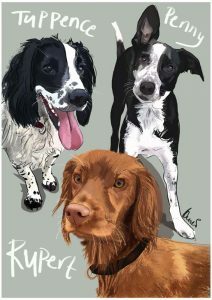 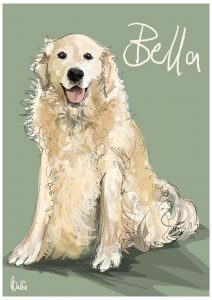 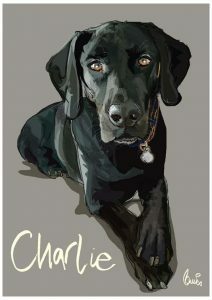 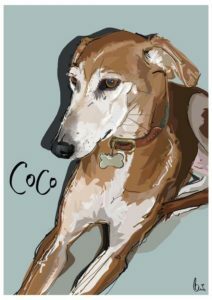 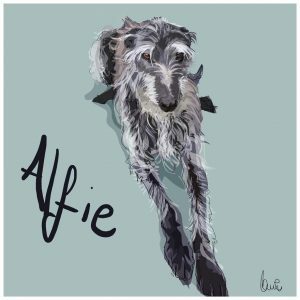 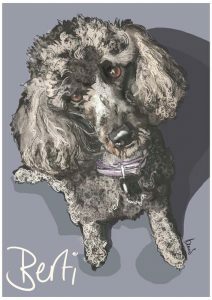 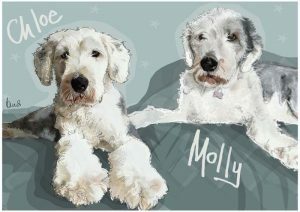 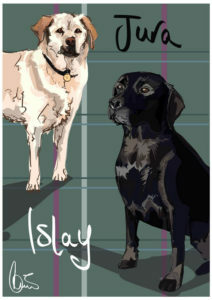 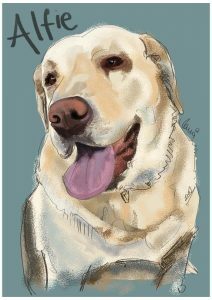 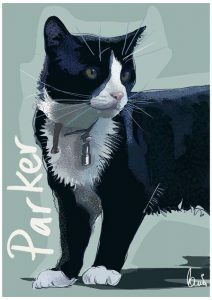 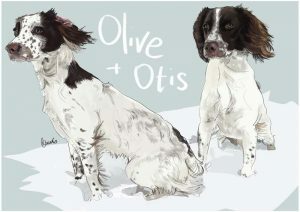 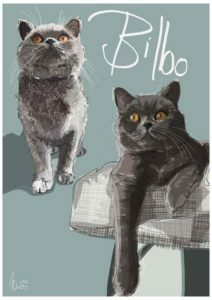 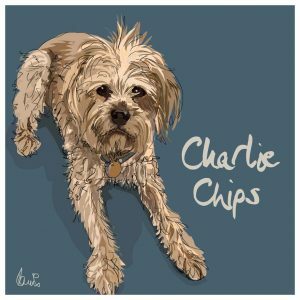 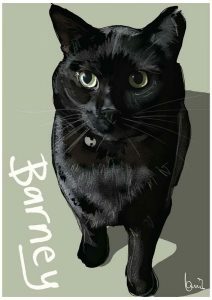 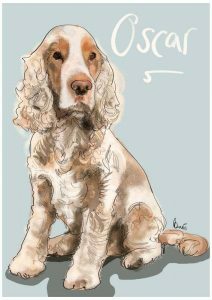 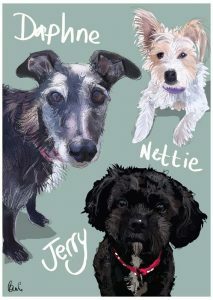 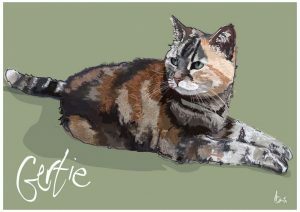 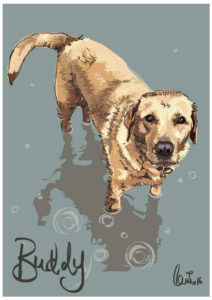 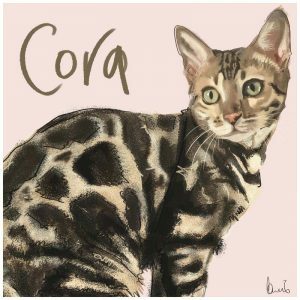 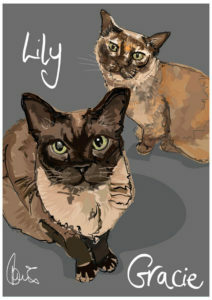 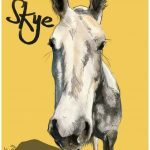 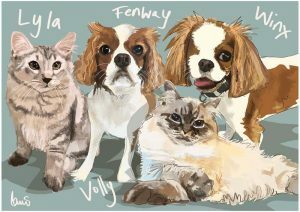 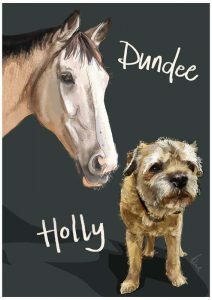 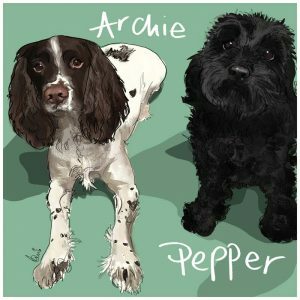 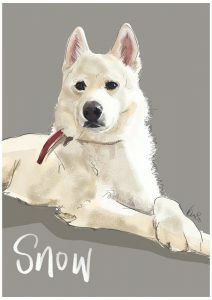 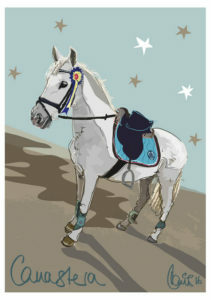 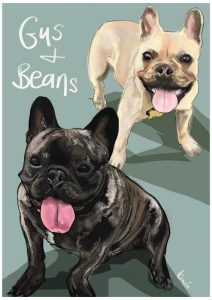 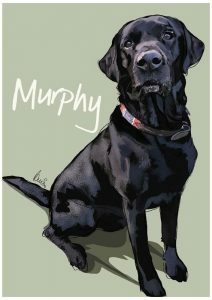 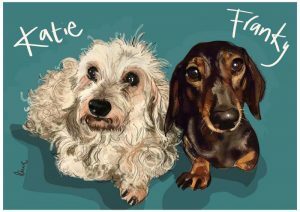 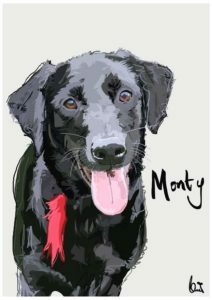 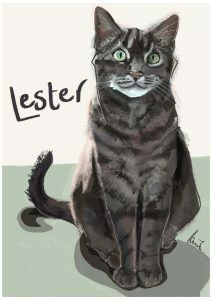 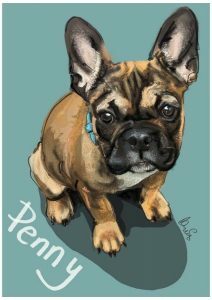 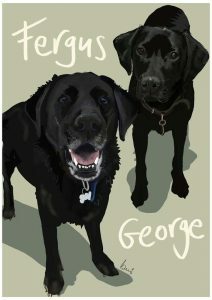 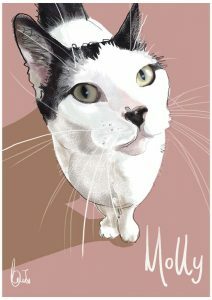 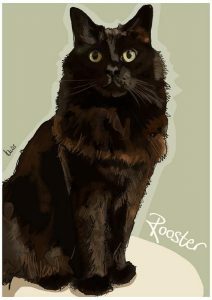 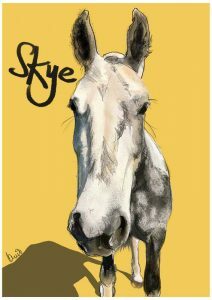 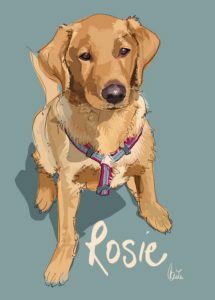 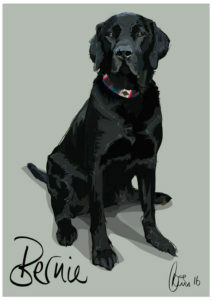 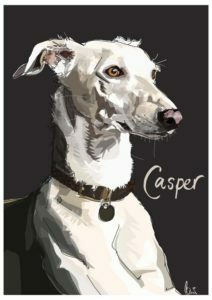 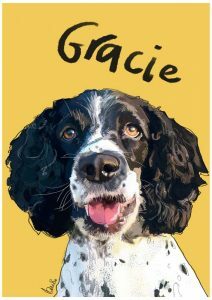 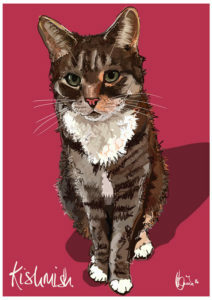 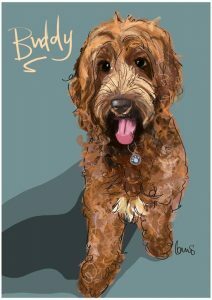 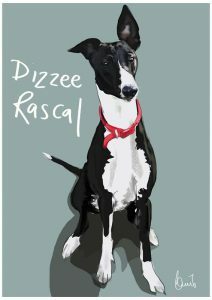 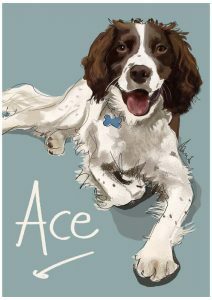 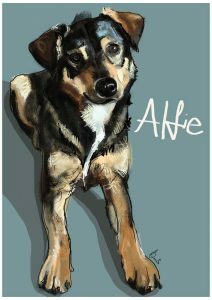 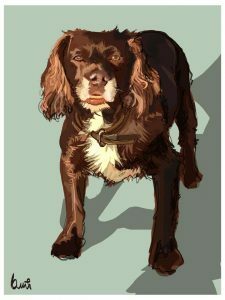 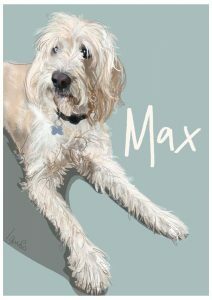 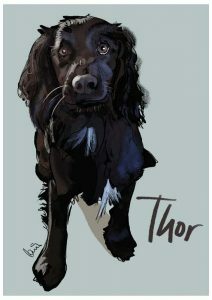 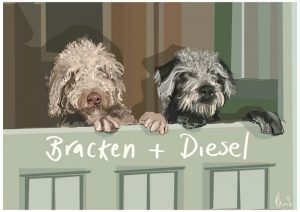 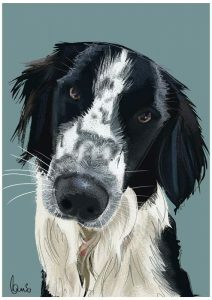 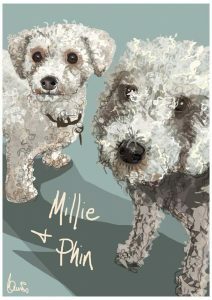 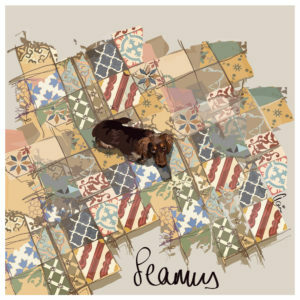 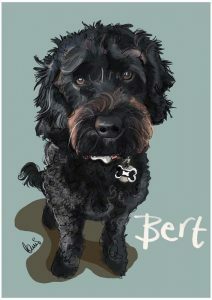 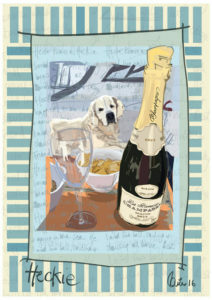 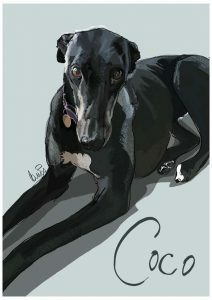 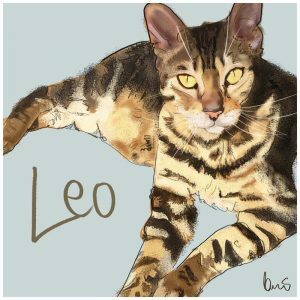 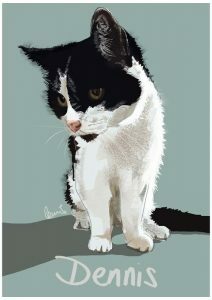 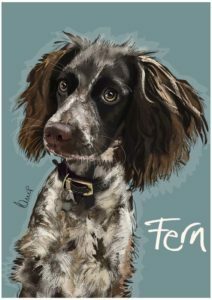 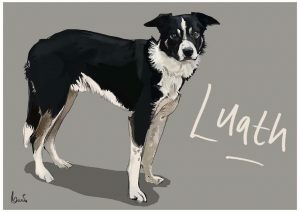 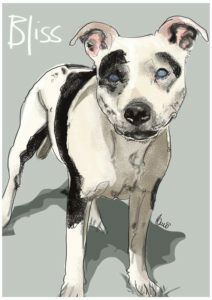 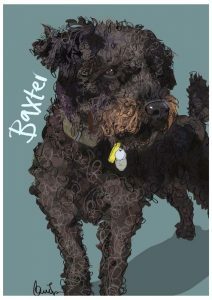 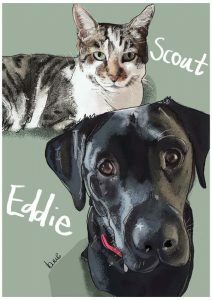 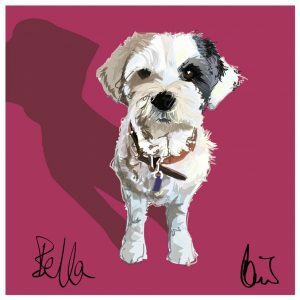 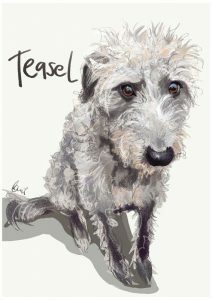 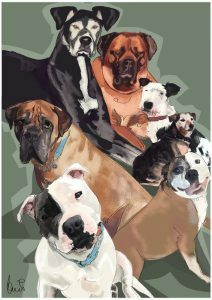 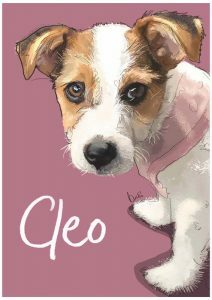 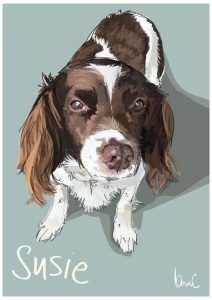 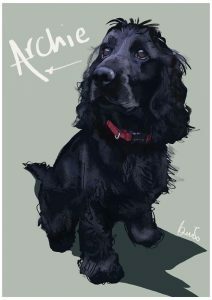 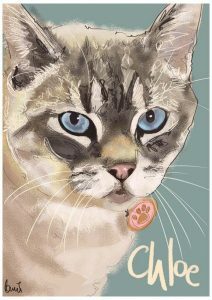 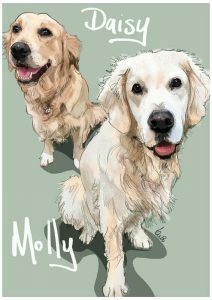 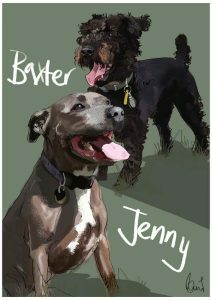 Background colour of your choice, the pets name and will be delivered as a high quality, fine art Giclee print.